The Essentials are an international, best-selling series of textbooks, all of which are designed to support lecture series or themes on core topics within the health sciences. Providing a comprehensive yet concise guide for trainee doctors, neonatal nurses and midwives, Essential Neonatal Medicine continues to be an indispensable resource that combines the depth and breadth of a textbook with the efficiency of a revision guide. 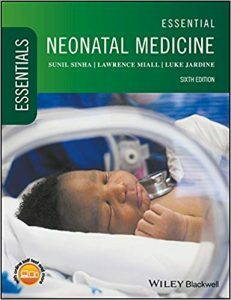 Extensively updated and full-colour throughout, this edition includes new chapters on neonatal transport and palliative care, as well as further content on pathophysiology and embryology, quality improvement and risk management, infection control, and non-invasive ventilation. With an improved artwork programme and a new glossary of terms, Essential Neonatal Medicine is ideal for all trainee health professionals new to neonatology, or looking for a comprehensive aid to support them.